We’ve just received planning permission for our 4000ft2 house & detached garage in Dromara, County Down. Our clients intend to make the house as energy efficient as possible, which will make the construction drawings a lot of fun for both slemish design studio and our clients. To make matters even better, we sent in the planning application at the beginning of February 2013 & received the approval today….planning approval in just over a month!!! 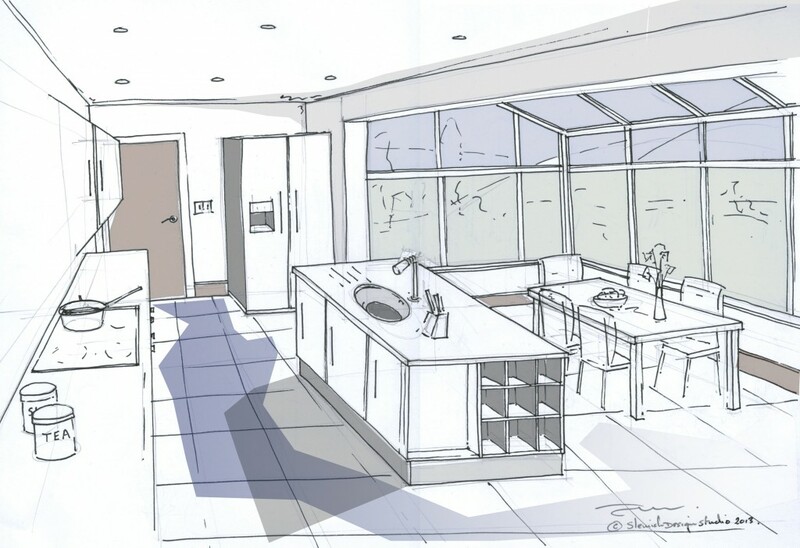 Our design included a large open plan kitchen and dining area leading into an orangery with fantastic south facing views to Slieve Croob Mountain. Also included within the plans were 2 living areas, 5 bedrooms along with laundry/cinema and music rooms. 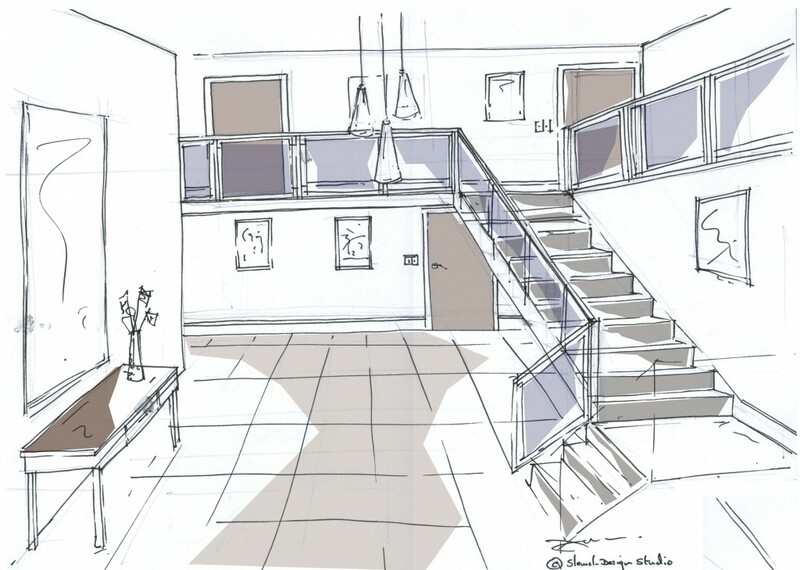 Here’s a few internal sketches we provided the clients with.